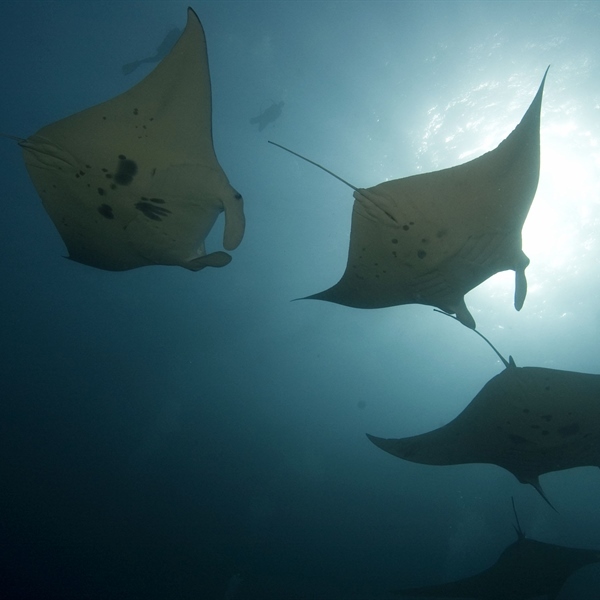 Beautiful reef diving with a vast number of resident Manta Rays. 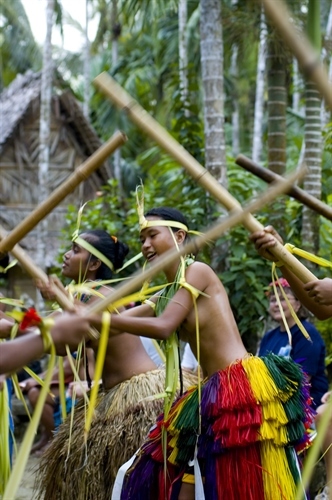 Also take in the culture of Yap. Yap in Micronesia is renowned for its Manta population and year round diving. 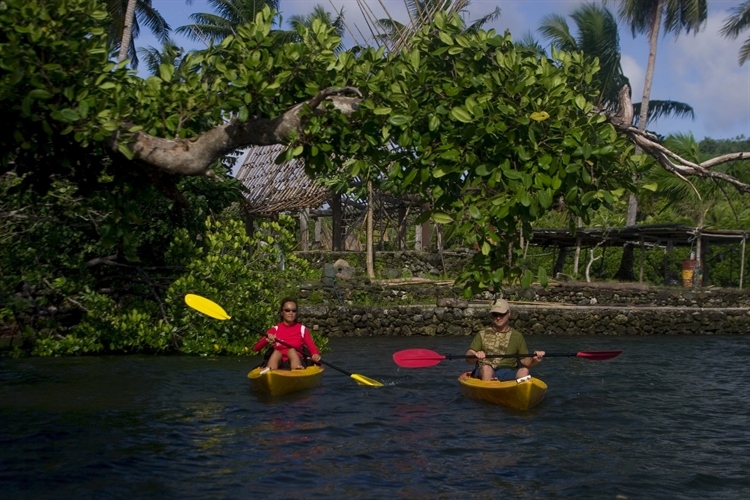 You can experience some of the Yap culture on tours and trips to villages to meet the locals. 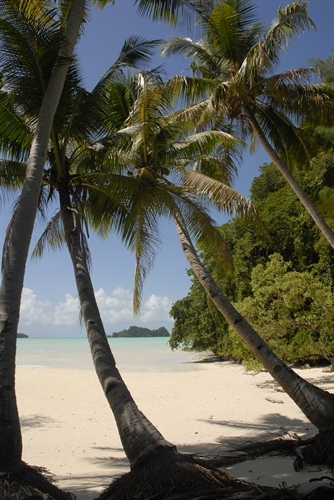 Yap is world famous for its large population of resident manta rays. On Yap a manta dive does not mean diving hoping for a manta encounter, it means diving to see the mantas. There's much more to diving in Yap than just manta rays, however Yap's outer reefs thrive with species of tropical reef fishes, invertebrates and corals. When coupled with the abundance of larger species like mantas, sharks, and turtles, Yap is a paradise for the underwater photographer or videographer. More than 200 species of hard and soft corals form the reefs of Yap. The only spa to have traditionally family made massage oil with local plant extracts. The rest of the long-range fighter aircraft flown by the Imperial Japanese Navy during World War II. Large doughnut-shaped, carved disks often made of calcite, up to 4 m in diameter. Untouched peaceful beauty. Discover the different ecosystems. The reefs on the East side of the island feature gently sloping terraces with one of the most diverse selections of hard corals in Micronesia. The west side of the island is composed of a series of vertical walls starting in 5 metres of water and plunging straight down hundreds of metres. 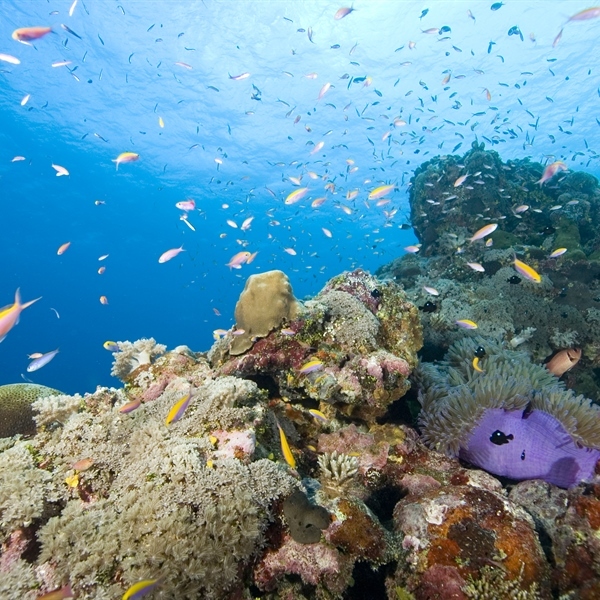 The visibility on the reefs usually exceeds 30 metres and frequently is over 45 metres. There are daily flights from London Heathrow to Manila in the Philippines with various airlines. From Manila, Continental Micronesia airlines operate flights to Yap a few days of the week, with a transit through Guam. Please note that transit times through Manila and Guam can be long and sometimes in excess of 12 hours. Overnights and day rooms can be arranged to make your journey more relaxing. “Lionfish Wall” offers a chance to experience the beauty of a pristine coral reef. One perpetual favourite of divers is the colourful clownfish. 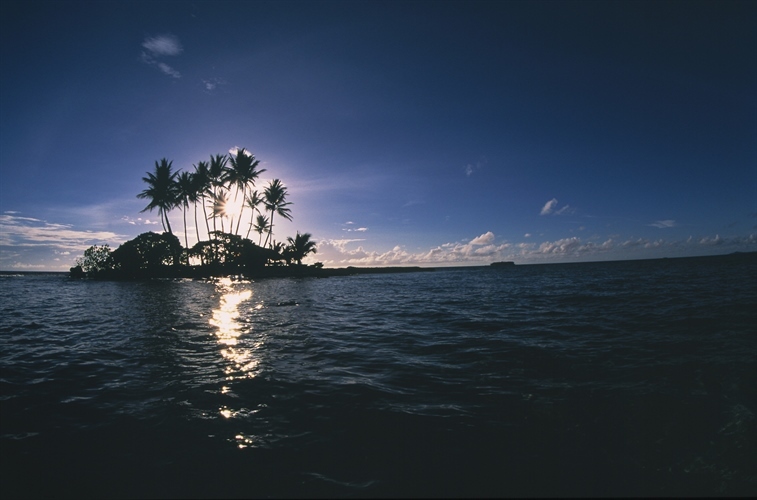 Five species can be seen in Yap. Some of the anemones they live in are over four feet across and host dozens of clownfish. Sharks are sometimes seen resting along the bottom of this wall. Lionfish can be found in the cracks and crevices of the wall. Groupers, snappers and soldier fish hunt within the coral growth along the wall. “Yap Caverns” at the southern tip of the island offers a truly spectacular dive with an array of caverns, swim-throughs and pinnacles populated by lionfish and sleeping white-tip reef sharks. Large schools of huge bumphead parrotfish are often seen here. A unique feature of Yap Caverns is that the dive not restricted to advanced divers, beginners have no trouble negotiating the swim-throughs, and are able to share an experience of magical beauty otherwise reserved for more experienced divers. There are a number of cleaning stations in the area, frequented by sharks and Trevally Jacks. Grey Reef Sharks can be found at around 25 metres. 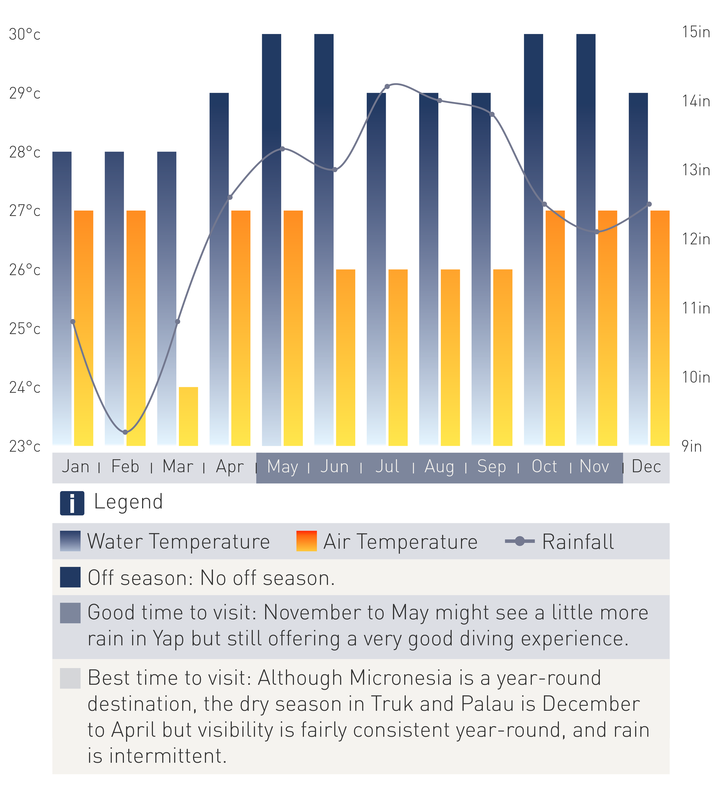 “Manta Ridge” is Yap’s most famous dive site and one that virtually guarantees manta sightings. Resting on the bottom are white-tip reef sharks. 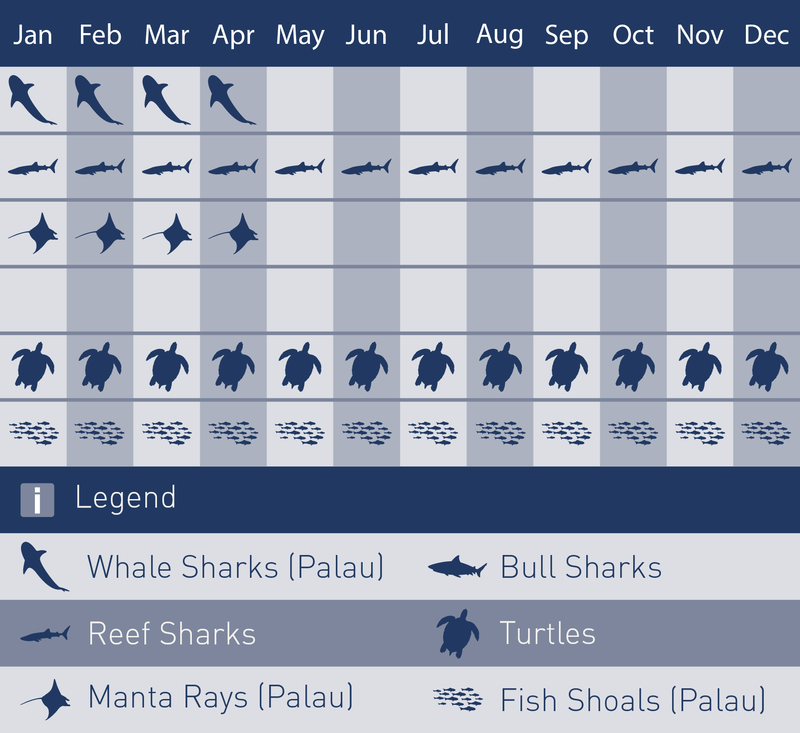 More active sharks, pacific greys, patrol endlessly up and down the channel. Divers move down the channel edge until they come to the coral mound that marks the manta cleaning station. Huge mantas, some of them nearly 4 metres across the wings, make their grand entrance swooping toward divers in a single file fashion. 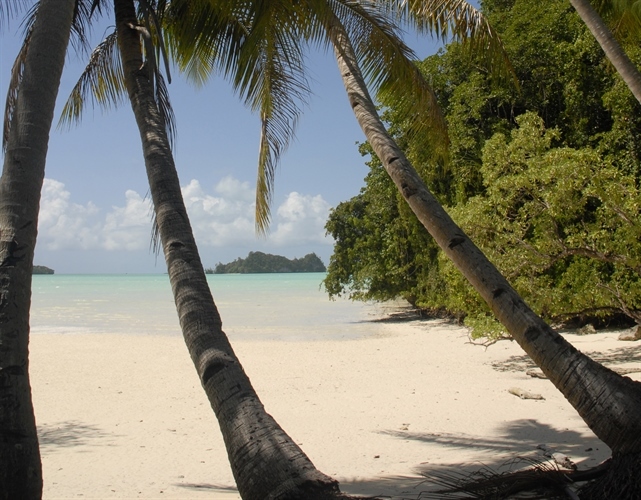 Our packages include transfers on arrival and departure day. On arrival you will be met by one of our representatives and transferred to your hotel. Transfer time to the Resort is approximately 15 minutes. 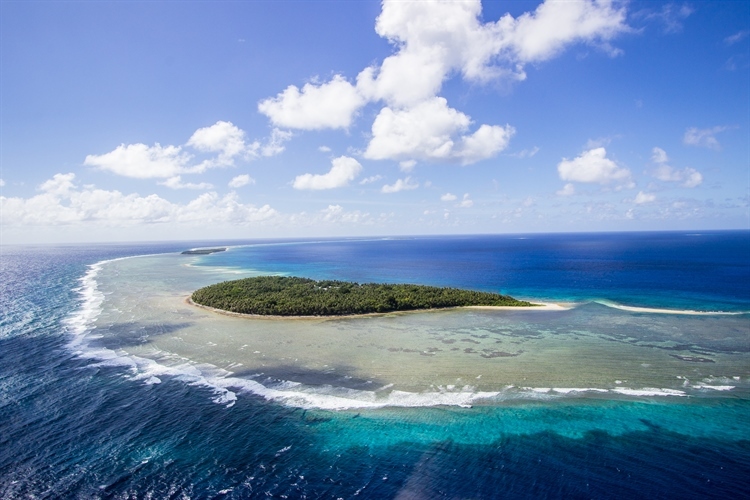 Yap Island can be dived all year round although the best time to dive this part of Micronesia is during manta ray mating season which occurs over December-April.